International Women’s Day rally promotes solidarity | Fight Back! 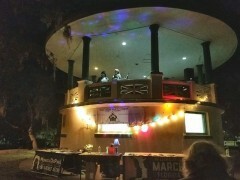 Jacksonville, FL – Over 80 people came out to celebrate International Women's Day, March 8. 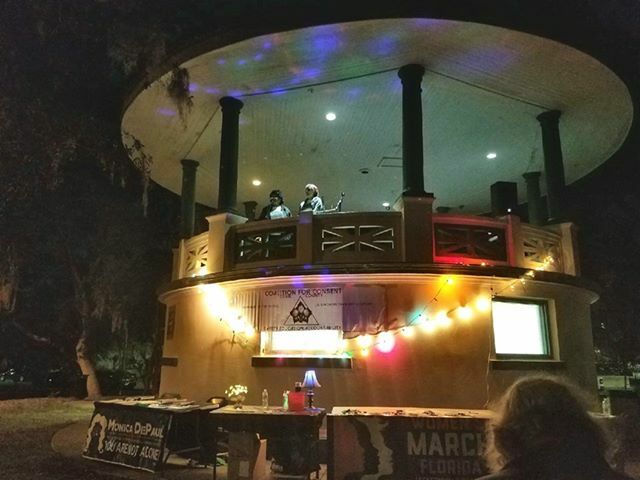 The event took place at Klutho Park near downtown Jacksonville, sponsored by Coalition for Consent and Women’s March. Several groups came out in support, including the Jacksonville Community Action Committee and UNF Students for a Democratic Society (SDS). Food Not Bombs provided lots of delicious vegan food. Funds collected that evening were donated to future Coalition for Consent events and workshops. Christina Kittle gave us a presentation on sexual harassment in the workplace and what steps can be taken to fight back against it. Monique Sampson from the Jacksonville Community Action Committee (JCAC), stated, “Black women are not allies in liberation movements. We are leaders. We are principled. It is very important to uplift and respect principled Black leadership." “We believe all these struggles are united in the journey towards liberation. We come together in solidarity and unity to fight the powers that be, in the hopes of ending oppression and creating opportunity for the future,” said one event participant.